Greetings sweet children of the evening, this week I bring you a gift from the deep reaches of the stars themselves. Few cinematic universes can claim the tremendous following that the Star Wars universe has garnered through the years. It’s a universe with a plethora of characters and creatures some of which could on their own, provide a tantalizing opportunity for a horror-fan to place in a film with much darker overtones than the Star Wars universe could. Without further ado I give you the mighty Sarlaac. 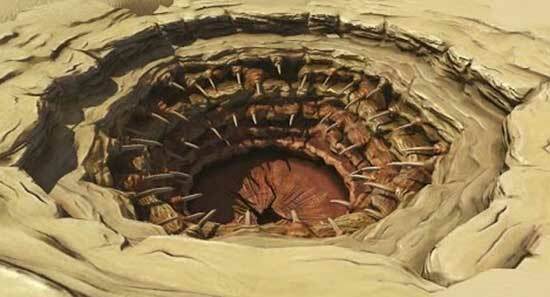 For many fans of Star Wars, the Sarlaac’s most iconic moment in the universe is as the near resting place of Boba Fett and Luke Skywalker courtesy of Jabba the Hut. 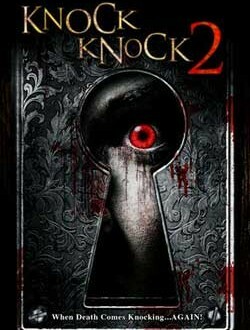 So what makes this being so terrifying that it could truly hold its own in a standalone horror film? 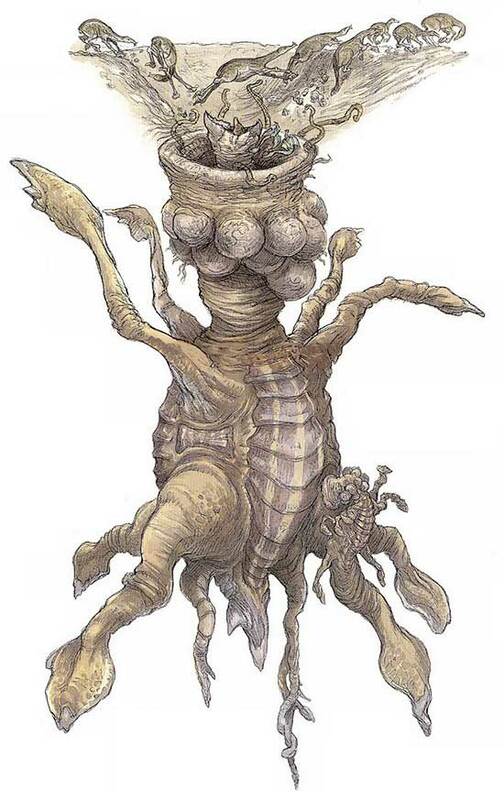 For starters the Sarlaac possesses a frightening lifespan, according to what we are told by characters in the Star Wars universe the Sarlaac can live for a staggering fifty thousand years! A monster that lives for five hundred centuries is terrifying to consider especially one that possesses the power of telepathy. The Sarlaac is said to possess the ability to influence the minds of its prey and eventually fully submit them to its will as it preys on their bodies and their minds. 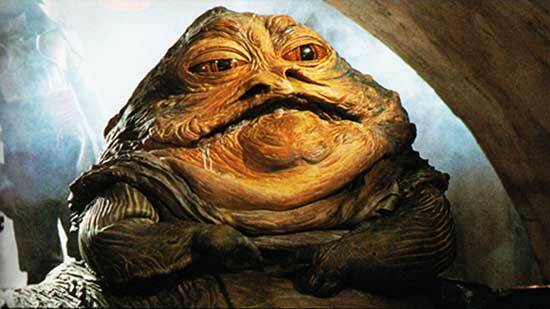 According to many writers within the Star Wars universe the Sarlaac has been used to execute criminals and those unfortunate enough to have crossed crime lords such as Jabba the Hut, but the reason for its use is what really ought to terrify us. The Sarlaac doesn’t digest its prey right away instead, it alters the perception of its prey so that they believe that they are suffering immense levels of torment in a form of psychological torture designed to prevent its prey from ever even considering the possibility of escape. While monsters and murderers abound in the realm of horror, few of them can claim that they could encourage their prey to stay and endure torture. While the Sarlaac appears to be a creature that is so vast in size that it can scarcely move, before it reaches maturity the beast actually does actively seek out its prey swimming through the desert sands like a massive desert great white shark bent on devouring anything unfortunate enough to fall into its massive jaws. If that wasn’t terrifying enough, this massive being possesses long tentacles that can quickly seize unsuspecting victims and draw them into its jaws for an eternity of suffering designed to drive its victim mad while it slowly draws nutrients from their lifeless bodies. If you still aren’t convinced that the Sarlaac couldn’t make for a killer standalone horror film than I’ve got one more delicious detail that is sure to convince you. The Sarlaac’s true power lies in its desire to feed off the fears of its victims. A giant-beaked mouth and massive tendrils designed to ensnare unsuspecting prey are terrifying to consider, but a being that takes pleasure terrifying its victims for a thousand years so that it can feed on their body and soul is something that we’ve yet to see accomplished. 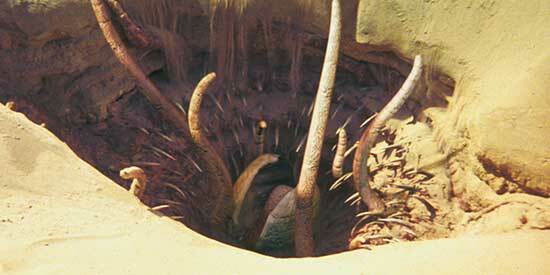 Out of all the beings in the Star Wars universe that could make for a horror film, the mighty Sarlaac is the one that can keep you up nights wondering when its sneaky tendrils might draw them into its pit mouth and drive them mad. The Sarlaac is definitely one of the most underrated creatures within the Star Wars universe and while many would suggest Tusken Raiders, Wampas, or even the Rancor as much more worthy candidates for a standalone film, I think the Sarlaac would offer many more possibilities. Considering the fact that the Sarlaac possesses a telepathic ability that allows it to lure in its prey and hold them so that it can devour them body and soul, I’d say this monster would find a way to thrill us on the big screen all on its own. With that being said, throwing in a cult dedicated to worshipping the mighty Sarlaac might up the ante enough to make for a film that hearkens back to the terror we all received with the Shadow over Innsmouth. As far as picking a monster worthy of a standalone film that could step out of a cinematic universe as rich and influential as the Star Wars universe the Sarlaac is a titan that could certainly hold its own.